Offline maps are great additions to your smartphone arsenal. You can't always rely on network access or Wi-Fi, and the last thing you want is to find yourself lost in a new area with no reception. To save you from calamity in far-flung regions, here are the best free offline maps on Android. I've been a fan of Maps.Me even since it was called Maps With Me and it's only gotten better with age. Maps.Me is a worthy contender for the title of best offline map app on Android. You don't even have a limited number of country downloads – you can download the entire world if you want to. Offering free offline global maps based on OpenStreetMap data, Maps.Me has all the essentials covered: clear, easy to read maps (including street numbers) with just the right level of detail, searchable points of interest and addresses, offline navigation, location sharing, and no roaming charges or need for online data transfer. This app is a one-stop offline map solution. It's also the easiest to use and nicest looking. I came across OSMand a long time ago and was floored by its offline navigation possibilities. While many offline maps allow routing these days, OSMand has been doing it well for a long time. Based on the same OpenStreetMap data as Maps.Me, OSMand provides the same level of accuracy in a very different package. If anything, it provides a little too much map data. OSMand offers rich offline navigation, including turn-by-turn voice guidance, re-routing and search. OSMand comes in both a free and paid version. The free version limits you to 10 map downloads (one of which must be the world base map) and some map add-ons, such as like contour lines, need to be paid for. Others, such as trip recording, audio/video notes and distance calculator, simply need to be enabled. City Maps 2Go is nowhere near as detailed as OSMand, which, admittedly, might be too much map for some people anyway. City Maps 2Go provides the bare-bones version of offline maps. You won't get as many building outlines or street numbers and you can't zoom in as far as you can with some of the other offerings, but those who need more of a general reference map than a step-by-step index will appreciate City Maps 2Go. City Maps 2Go allows you to search for addresses, points of interest, restaurants and so on, all offline. It doesn't have the offline navigation options that some of the others do, but it is tied into Wikipedia and offers more information by default (several other map apps require you to download Wikipedia entries separately). Of course, no offline maps list would be complete without mentioning the fact that Google Maps allows you to download maps for offline usage too. Since its most recent update, the Google Maps offline functionality is better than ever, maintaining its great navigation system even without internet. What's more, Google Maps will automatically switch to your offline map version when it detects an unstable internet connection to help provide the smoothest user experience possible. The best thing about Google Maps offline is that most people are already very familiar with it and have it on their phones already. All you have to do is go to is go to the Google Maps settings, hit Offline areas and start adding them. These will remain available for the next 30 days, after which they are automatically deleted. Nokia's HERE Maps is a great addition to the Android offline map apps family. It's a very different experience to most Android maps and you'll need to register if you want to download maps for offline use. Once you've done that, you'll be able to download unlimited free offline maps. HERE offers turn-by-turn navigation, search, satellite and traffic imagery, and an altogether different feel to an offline map. You can even set HERE to stay offline, so that it doesn't suddenly start consuming data again. If you're looking for a fresh take on offline maps, especially one that looks different from the others, give HERE a try. 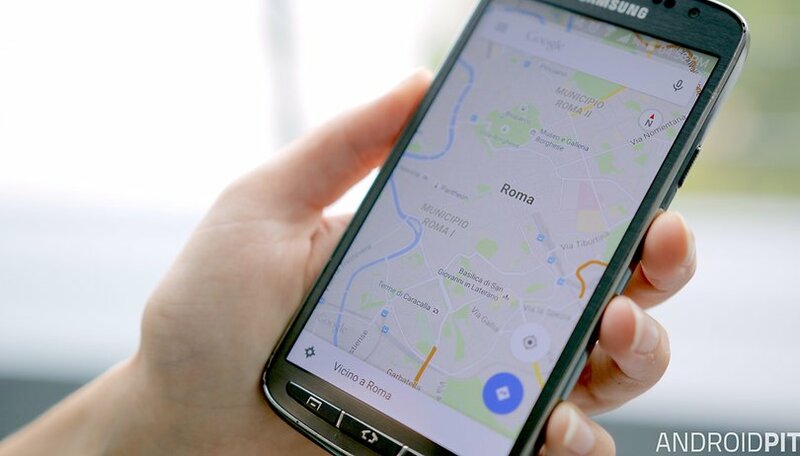 Galileo Offline Maps was first seen on iOS but has now made its way to onto Android. These maps aren't interactive like Google's Maps, instead they are just pictures like those found in map books. Galileo opens with a map of the continent you're currently on, but when you zoom into a particular location you will be asked if you wish to download the map of that area. If you don't like the fancier maps provided by other apps, and just want a small, effective, alternative to a physical map, Galileo Offline Maps is the app for you. Bonus tip: Did you know you can quite often find offline maps for a specific city in the Play Store too? You can also download zoom-able PDFs for transit, city streets or points of interest for most major travel destinations in the world. They're a great alternative to occasionally rather large offline maps if storage space is at a premium. Which offline map app do you use? Any we missed? Tell us in the comments. Locus Maps should be on this list. It has the ability to overlay one map (semi-transparently) over another, and is possibly the only free mapping app in Android that supports interactive MBTiles files. In the UK, there is a new Android mapping system which links with Quo from Mapyx on a PC, called MX Map Mobile. The software is free, but it uses Ordnance Survey maps that can be purchased as individual sheets. MX Map Mobile needs to be linked with Quo on a PC, using a USB cable. There were a few teething problems, but I did manage to get it working. Mapyx have improved their instruction sheet, although it is still necessary to read it carefully and follow the instructions exactly. Mapyx have been resisting releasing Quo for Android for several years, wanting people to buy their own navigational devices, mainly for walking. Now that they have released it, I think it will become very popular in the UK, as the maps are excellent. OSMand does not provide "too much data". For one, there is no such thing, two, the closest i could get to the addresses i wanted was cross streets. It would not allow me to search for specific addresses, yes i was online at the time, with all necessary maps downloaded. Root Info Solutions, It's a uk based an Android and iOS(swift) and web application development company. I prefer Google Maps for online navigation and searching locations as it's very user friendly. it also features high quality routes, lane information, speed limits and road signs and crystal clear instructions. Walking with Magic Earth guides you to your destination in the blink of an eye. The plain 2D map, crystal clear route and accurate position will make finding your hotel or restaurant so much easier. Hi Kris. Is Maps.Me best solution for me to navigate totally offline during my trip to Europe. P.S. I will not have access to internet at all. Thanks! I really like MAPS.ME, but not so much for offline navigation. For that purpose I use Sygic. Location Based Services are growing by leaps and bounds with the success of mobile applications like Foursquare, Yelp, and Gowalla. I prefer to use these apps for online navigation and searching locations as it is the best in the world. For more information about best navigation apps must go with Affle AppStudioz. Sygic and Drivemode are also worth a look. I mainly use google maps, but really enjoy Here too. I like that Here Maps has the speed limits listed, but wish it had lane assist. I've also used copilot in the past too, but had some weird nav issues (wanting me to exit the highway and immediately get back on, with no traffic). My favorite is Copilot. I've never liked not having the maps stored locally. I think Google map is the best one it is the most detailed one, and with very simple settings, now with offline choice it has come as the king. New feature that the search and navigation between two points on the map is much helpful. Offline search is fast than online. In offline live traffic data is not available that we understand, but alternate rout options are also not available,this is something difficult. my wifi is very slow... any way for download on desktop, and move to android ? All of them are great help to you especially if you are always on the go and want to avoid hustle and bustle of life in the city. I prefer to use Google Maps for online navigation and searching locations as it is the best in the world. Its offline maps are not very detailed as they are kept small in file size to minimize downloading times. For high detail offline maps, I prefer to use Appxis (www.appxis.com) as it can save high detail offline maps of any place in the world easily and conveniently.